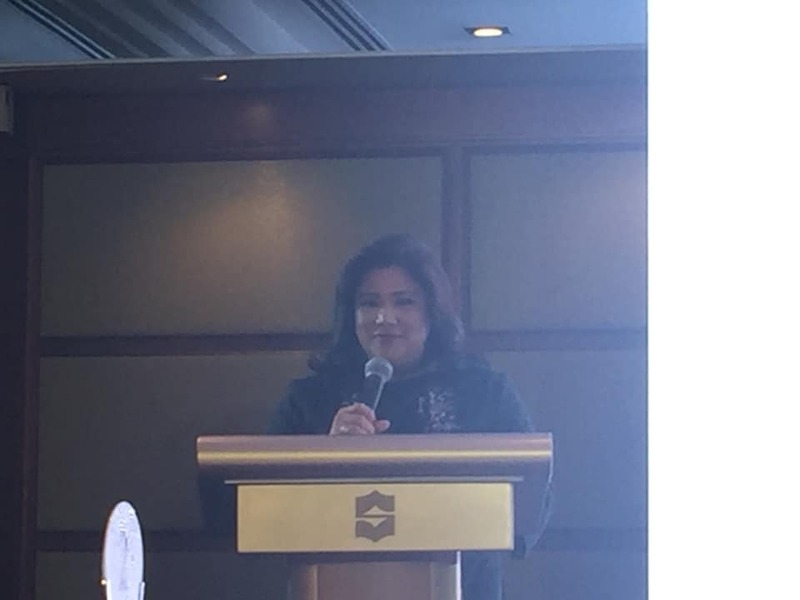 Purple Plum Fairy: Do you know that your Php1,000 can get you an investment fund? 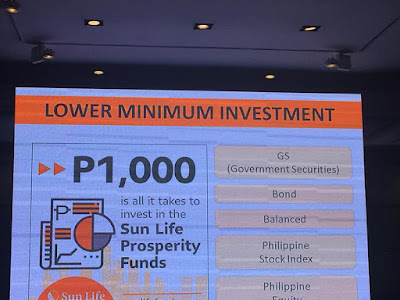 The good news about Sun Life is that they have launched this promotion where every Juan can very much afford to start an investment at lower minimum cost of Php1,000 from the old price of Php5,000. For just Php33.3 per day, you can be assured of a pretty good investment. This is a great initiative for a trusted company like Sun Life. I'm sure it will also encourage a lot of Filipinos to finally get a brighter financial future for their family. One thousand pesos may not exactly be a change for many of us, but it means a lot if you're able to get a good investment such as this. Eventually, when you make more money, you can increase your initial investment of a thousand pesos. The best part? Paying is very convenient. 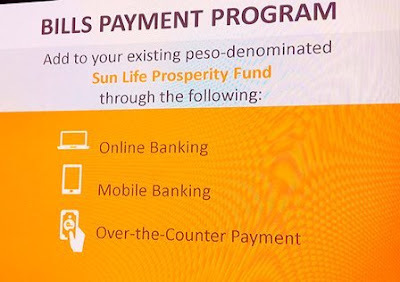 The Bills Payment Program of Sun Life made it easier for everyone to pay via various channels like online and mobile banking, ATM or the regular over-the-counter. 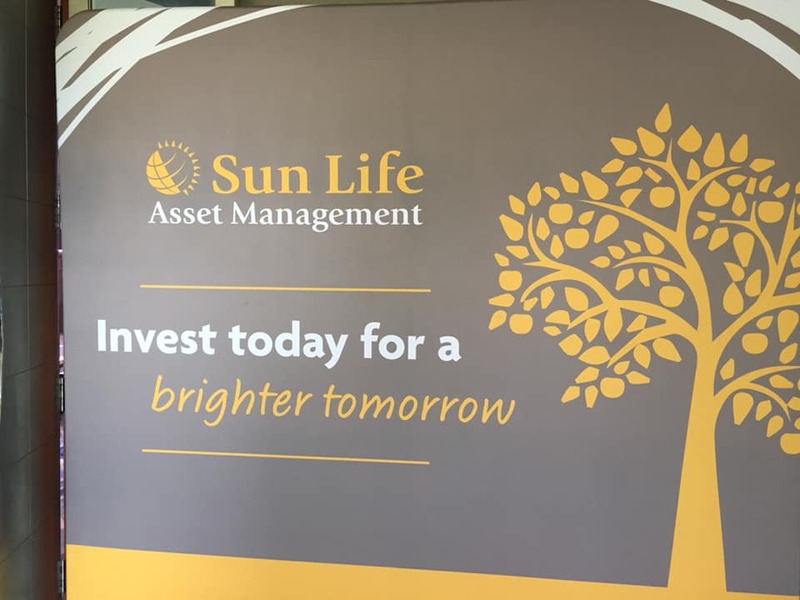 I am happy to note that Sun Life offers clients the convenience of investing plus the easy payment scheme that paying will now be hassle-free. No more lines, no more waiting and you can even pay at your own time in your own home! 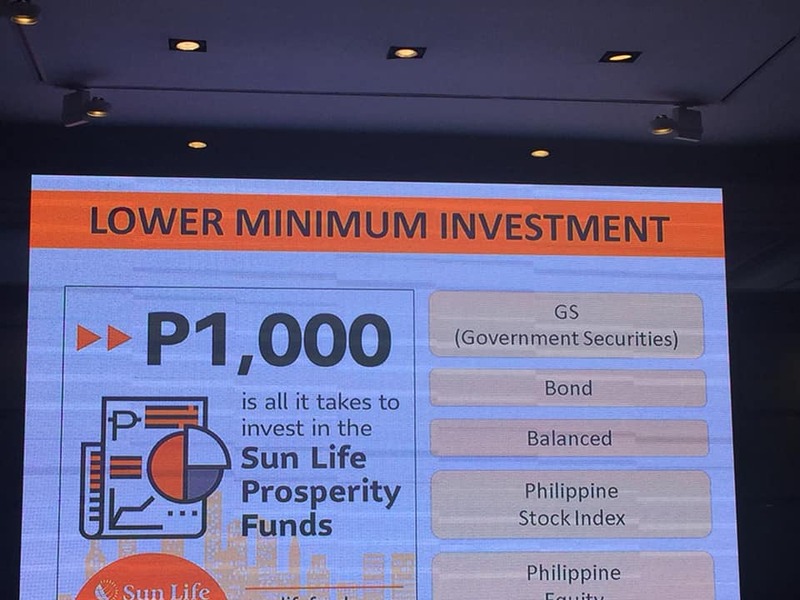 For more information and if you would be interested to avail of this great time to invest at a lower initial investment rate, check out Sun Life Financial Philippines on Facebook. It's time to wise up for your future. Go ahead, don't be shy, take the initiative which you own't regret and inquire now!